It’s becoming more evident that search and social are not exactly separate silos. As customers use both search and Facebook in their purchasing decisions, it’s important for companies to make sure those presences are optimized. 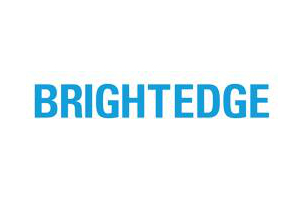 Jim Yu, the CEO of search and social optimization firm BrightEdge, spoke with Inside Facebook at the company’s Share14 conference in San Francisco about the relationship between the two platforms. Inside Facebook: Can you talk about the way that the relationship between search and Facebook is evolving? Jim Yu: What we’re starting to see is that you really have to think about the content that you’re creating and then you have to think about the integrated strategies across the different channels. Here’s what’s happening: I’m creating this piece of content. How am I going to drive engagement to this? A big part of it starts with understanding the demand. What do people care about? Once you figure that out, then you can create the content. Then you can drive that into different channels. Another key thing we’re looking at is where social engagement is always going to help with search. One of the things we did there is look at the millions of keywords and topics and pieces of content, then we automatically do this correlation analysis. So we can understand these types of content, when they drive engagement, are going to help your search performance, too. IF: Can you describe some simple ways that a page owner can make their Facebook page a little more SEO-friendly? JY: A lot of times, when you’re looking at Facebook, people are really focused on their Facebook page. A page is really a great place where you’ve got your community, but another thing — a lot of people forget to do this — is look at your website and how it shows up when people engage with it on Facebook. When you’re using different plugins, like sharing plugins, are you optimizing your content so that when different people are publishing it within Facebook, it’s then optimized. A lot of times people forget that. It’s important to remember that because a lot of your conversion actions also happen on your site. Driving the right engagement on that content within Facebook is incredibly important. When people share this stuff on Facebook, is that content showing up in a way that’s going to drive engagement? IF: How can brands use trending topics or hot search trends in their Facebook marketing, but still remain relevant to the company? JY: One of the things that’s really useful and very powerful is for brands to use the search data to help them understand relevancy. In the search data set, you can understand that I have existing content that performs really well on a specific topic that’s relevant. That’s one big aspect. That’s one of the things that we do with our DataCube. The second tip, I’d say look at your bounce rates. Even when you have lots of traffic by going into a trend, if you have high bounce rates, the effectiveness is going to drop. Looking at search relevancy, you can see that data. Looking at bounce rates, you can see that data. It’s very important to look at that to understand relevancy.